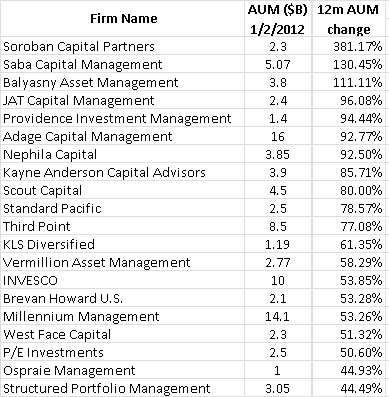 Here are the latest statistics on the largest hedge funds, the so called Billion Dollar Club - funds with over $1bn in AUM. 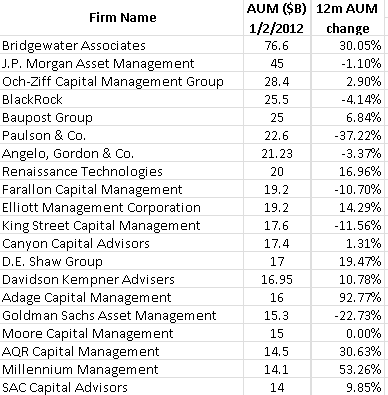 The "club" was unchanged from a year ago in terms of the number of "members", while the overall AUM came down slightly. There were a number of hedge funds however that really took a pounding. 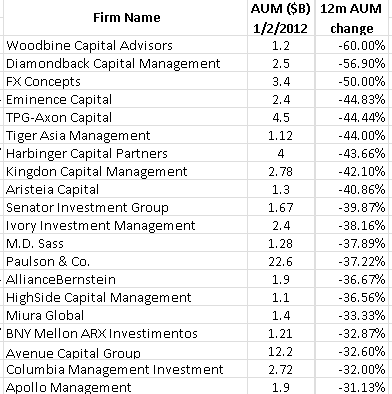 The reduction in AUM for many of these funds was due to poor performance as well as investor redemptions. This included a number of high profile funds. 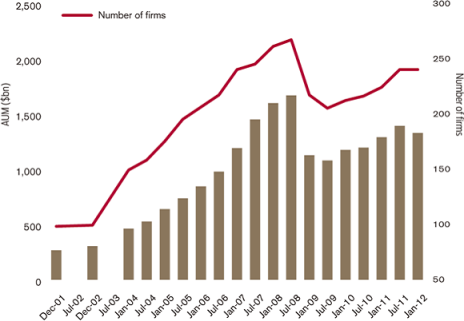 Overall the industry is having trouble growing, particularly as 2011 turned out to be one of the most challenging years on record.